Here at Everbright Family Dentistry, we value the relationship we have with each one our patients. We know that you have a choice when choosing a Valencia dentist, and we want you to feel right at home with our friendly and knowledgeable staff. We encourage you to get to know Dr. Guerrero and her staff. At Everbright Family Dentistry, we only hire kind and compassionate individuals who are friendly and value patient comfort as a top priority. Each staff member is dedicated to the health and wellness of our patients, as well as committed to providing a relaxed and pleasant experience every time you visit our office. From the moment you check in with our front desk reception staff, until the time you check-out, we know that you find our staff members friendly, approachable and willing to answer all of your questions without hesitation. Dr. Guerrero grew up in the Santa Clarita Valley and attended California State University Northridge. After completing her B.A. 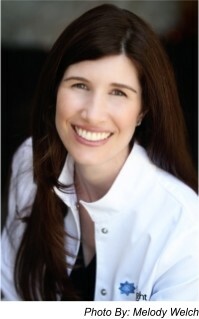 in Biology, she attended and completed dental school at UCLA . Since graduating in 2002, Dr. Guerrero has more than 15 years of experience practicing dentistry. Dr. Guerrero continues to further her knowledge of the latest advancements in dental technology, and she also makes a point of attending continuing education courses for updates and changes in dental healthcare. She is a member of the American Dental Association, the California Dental Association, and the San Fernando Valley Dental Society. Dr. Guerrero is proud to operate her family dental practice right here in Valencia – an area she considers home. She is committed to the dental needs of the community and values both the health and cosmetic benefits that dentistry affords her patients. Because Dr. Guerrero herself is a wife and the mother of three children, she welcomes patients of all ages with the same gentle care that she would want for her own family. When Dr. Guerrero is not in the office, she can be found taxing her kids around town, relaxing with her family, or chilling with her favorite cat Bowie.